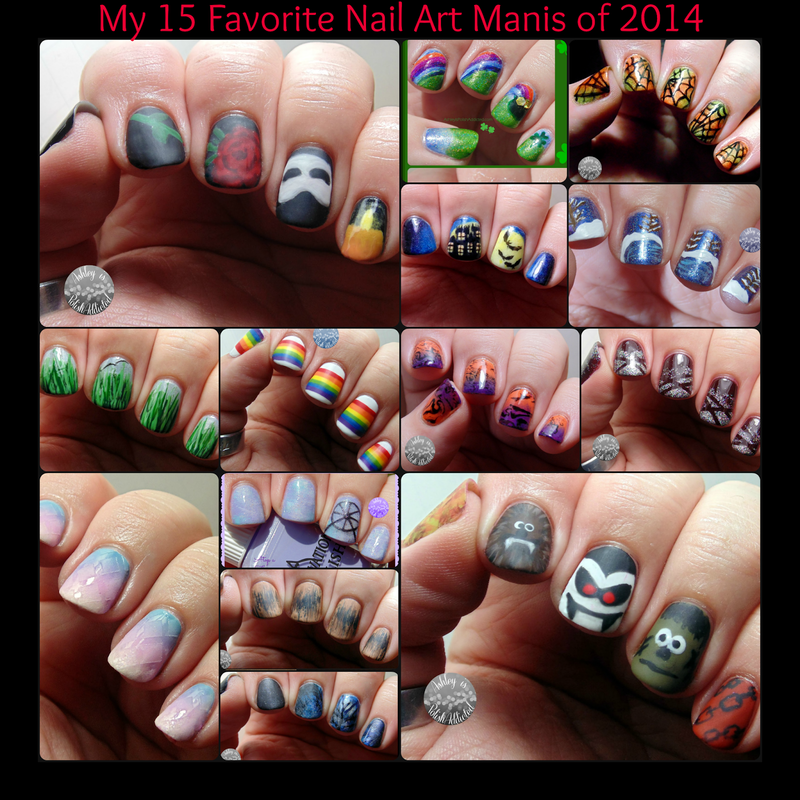 My 15 Favorite Nail Art Manis of 2014! Happy New Year's Eve, again! And Happy New Year to those of you who are already in 2015! I wanted to do my favorite polish posts but I knew I would not be able to decide and post today, so I decided to choose my favorite nail art manis from this year since I have been doing more nail art this year than ever before. Oh Look, a Post! I'm Back! Happy New Year's Eve! Right now I have a quick post to show you a few manis I've done the last couple of weeks and to say that I have missed you guys! I did not plan on taking an almost two week blog vacation. Life got busy and I haven't been feeling well and it all just kind of ended up taking away my blogging time. But I'm back now and, while still busy, I should be back to a more regular posting schedule. I also have some exciting things coming up in January that I'm excited to share with you guys! But that will all come in due time. 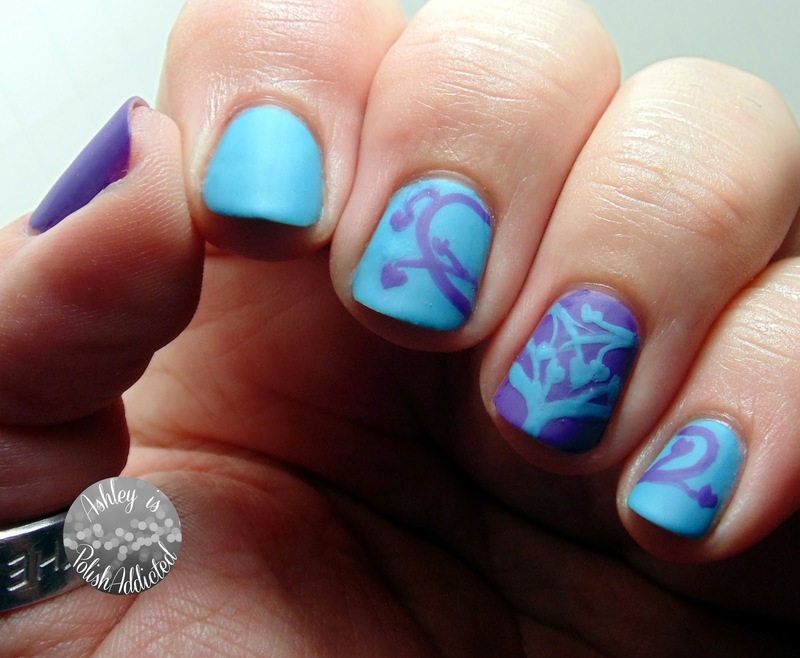 Right now I just want to show you guys a couple of manis that I did during the last couple of weeks. First up, my Christmas mani. I did this about 3 days before Christmas and didn't intend on wearing it as long as I did but I didn't have time to change it. Luckily, I really enjoyed it! Two more manis after the jump! Hello! Long time, no talk! Sorry about the long absence. I will have a post (hopefully) later today talking about where the heck I've been and showing a couple of manis I've done recently. 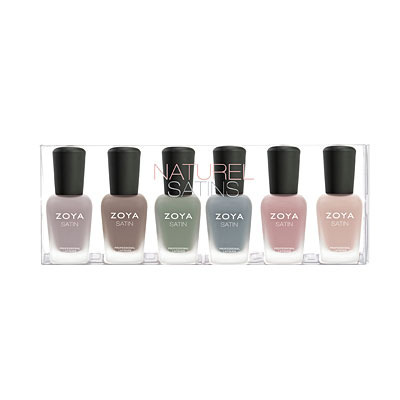 In the meantime, let's look at this new collection coming from Zoya. I am super excited for these! Happy Thursday! It's hard to believe it's only one week until Christmas! I am more behind this year than I have ever been. I will be finishing up my shopping this weekend, and there are still a few decorations I haven't put up yet! I am usually pretty early and on top of everything so it's driving me crazy to feel like I'm behind. But it will all get done, right?! 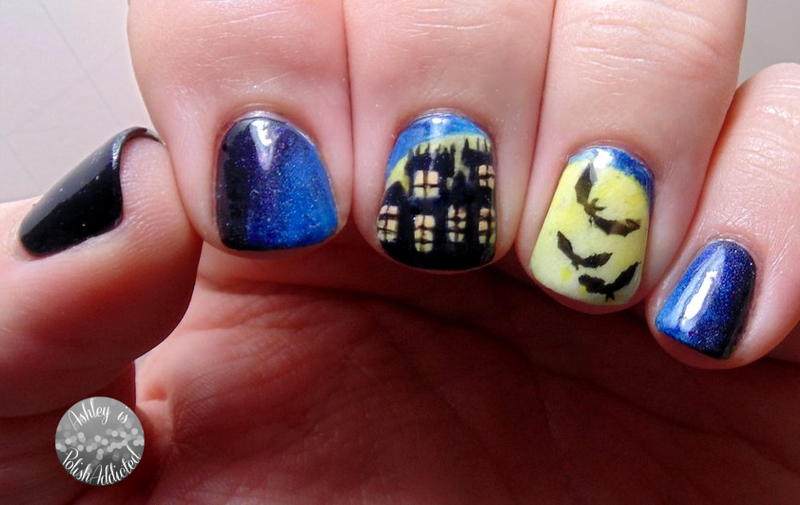 And because I've been so busy, I haven't had much time for blogging or nail art, which makes me sad. I have so many ideas floating around in my head but haven't had time to sit down and execute them. BUT, I did have a little bit of time (late on Saturday night) to try a radial gradient. Well, try again. This was my 3rd attempt at a radial gradient and the first one I've been happy with! Hello lovelies! 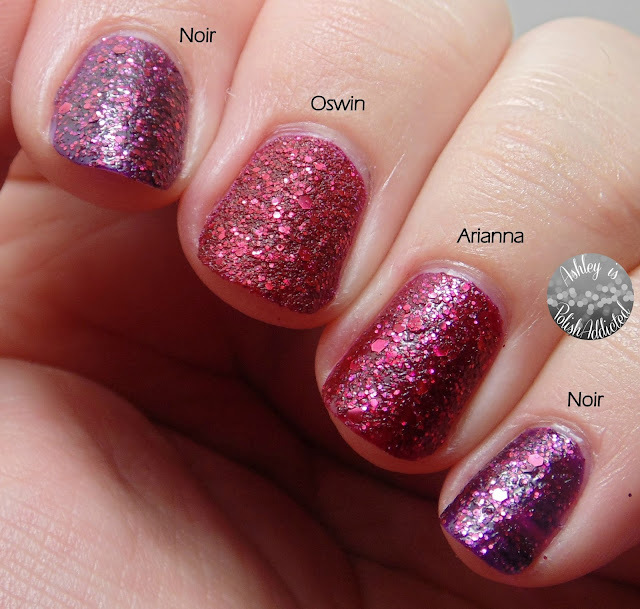 I have a couple of gorgeous polishes from 6 Harts Polish to show you today, as well as a quick review of her cuticle oil. Mystical Winter Frost... or Expecto Patronum? Happy Friday! I hope you have had a great week! My apologies for it being so long since my last post. December is so busy! 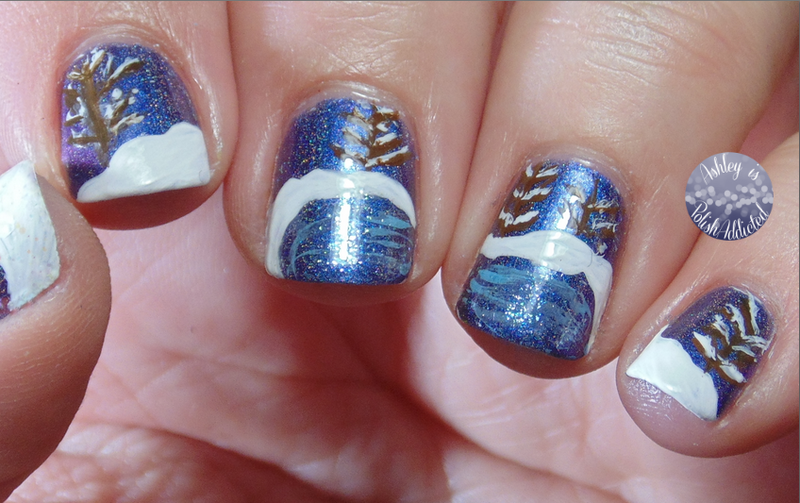 I did find time to do some winter nail art on Wednesday, and I am so excited to share it with you! Good evening! It's a cool and rainy evening here which makes me a happy gal! 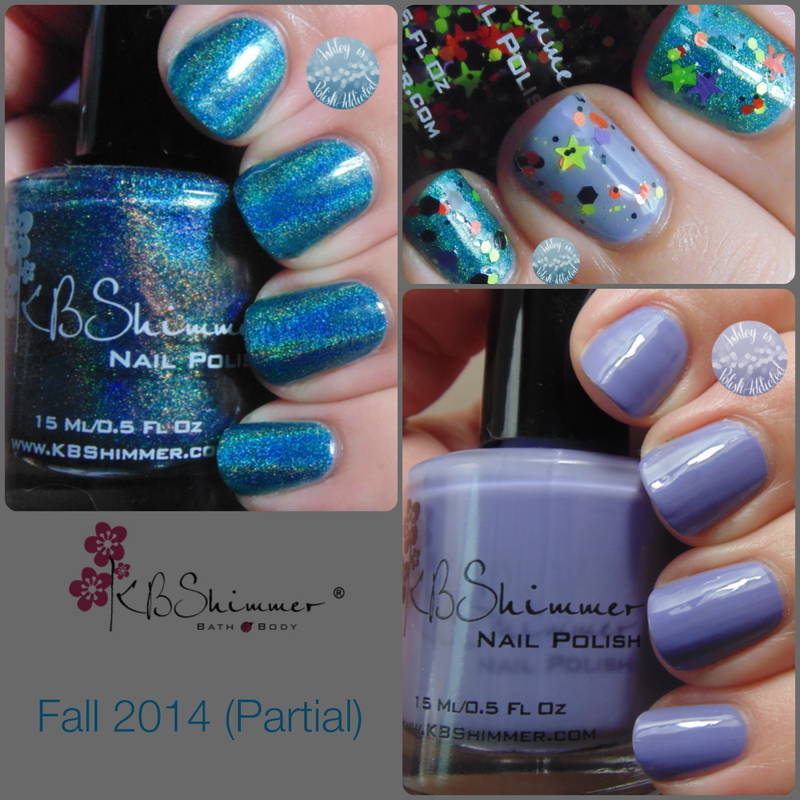 I have a gorgeous collection from Northern Star Polish to show you tonight. This collection is "inspired by the nebulous world of the vampire." Good evening! I hope you all had a wonderful weekend and a good Monday (or as good as a Monday can be). 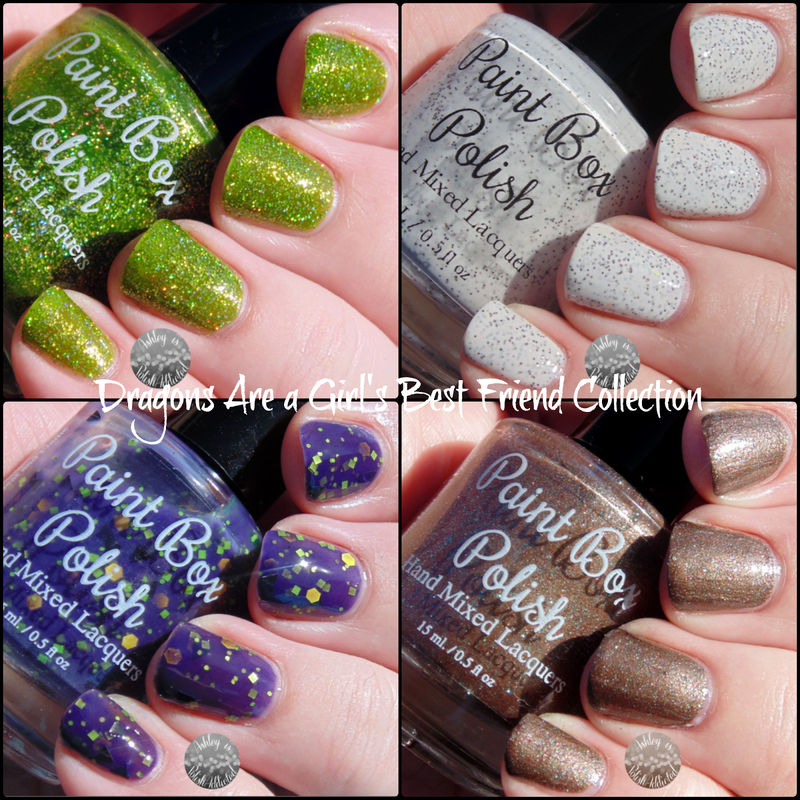 Today I have a brand new bevy of beauties from Paint Box Polish to show you! This collection launched on Black Friday and are available now! The Dragons Are a Girl's Best Friend Collection is made up of four polishes, all with different finishes, inspired by some of our favorite dragons! Hello lovelies! 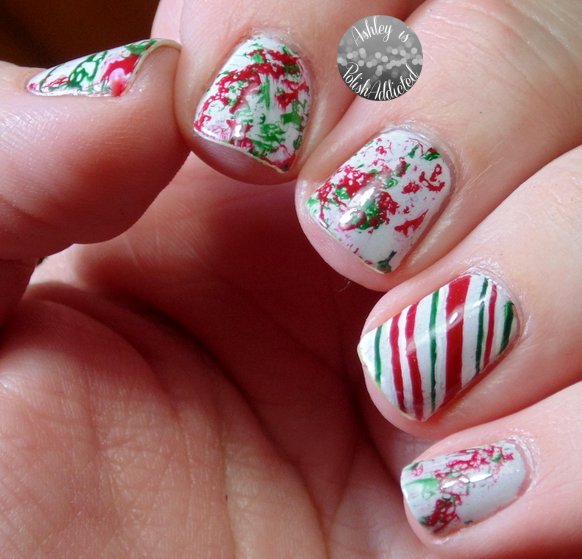 Now that Thanksgiving is over here in the US, it is officially time for me to start creating Christmas manis! When I was asked to participate in the #beautyQtips Holiday Glam Campaign I was very excited to share how Q-tips Precision Tips can help everyone create a gorgeous manicure for the holidays or any time of the year! I really enjoyed using the Q-tips Precision Tips to clean up this gradient. They were soft and gentle on my skin and the stick was flexible, yet strong enough to do a great job. 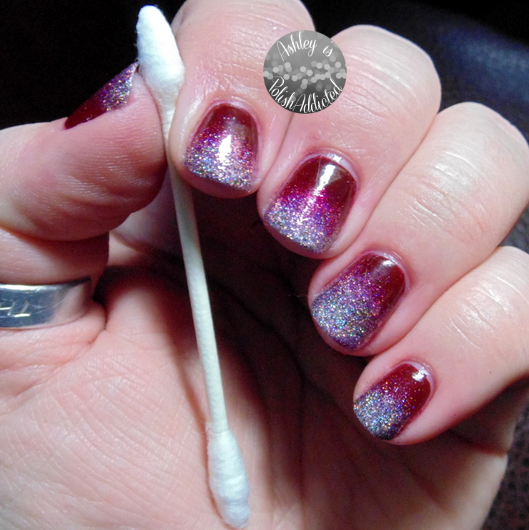 The precision tip worked really well to clean up without ruining my manicure. 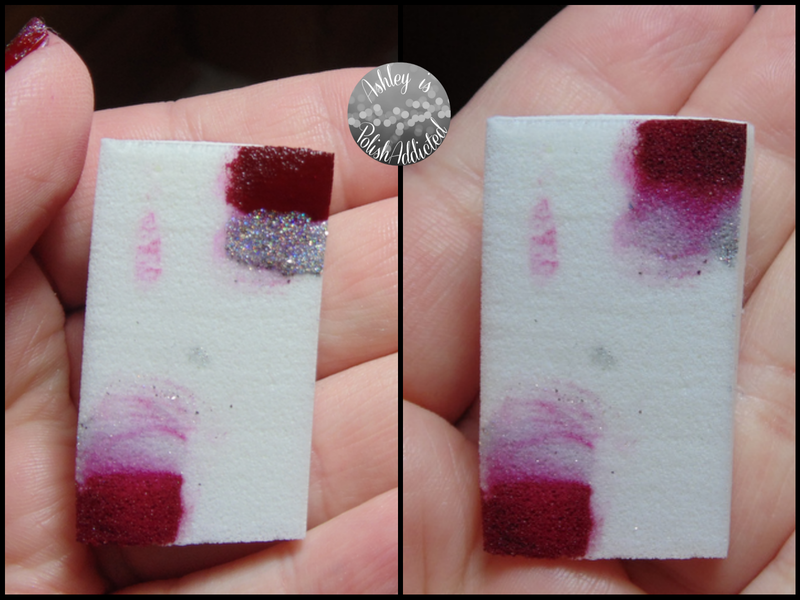 I had never used the Q-tips Precision Tips for cleanup before so I decided to put them to the best test I could think of - a vampy red and glitter gradient. I started off with a base of vampy red. Once it was dry I used a makeup sponge to create the gradient (see image below). After creating the gradient I was left with the mess below. If you have ever cleaned up red and/or glitter, you know this is not an easy task! So let's see how well the Precision Tips worked! I used the Precision Tips dipped in pure acetone for the cleanup. After I was done cleaning up I used the Precision Tips again, this time to apply a thick hand cream to my skin and cuticles to replace the moisture I lost using the acetone. I am happy with the results below! 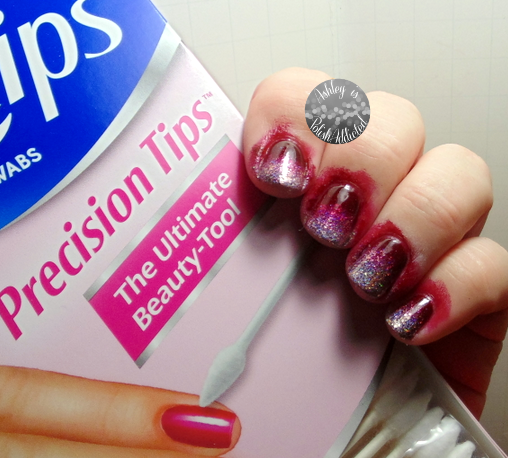 I will definitely be using Q-tips Precision Tips for more manicures. 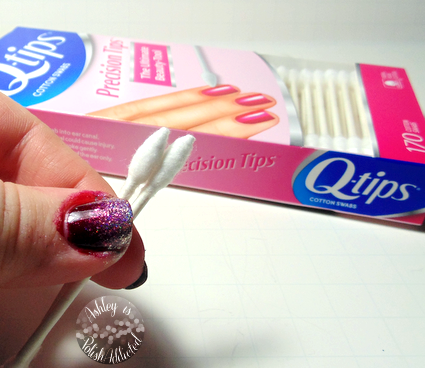 And, after looking at @qtips on Instagram, I will also use them to create fun eye makeup and lipstick looks! If you would like to re-create this look using Q-tips Precision Tips, I used NCLA Rodeo Drive Royalty as my base and Darling Diva Polish FFF for the silver. 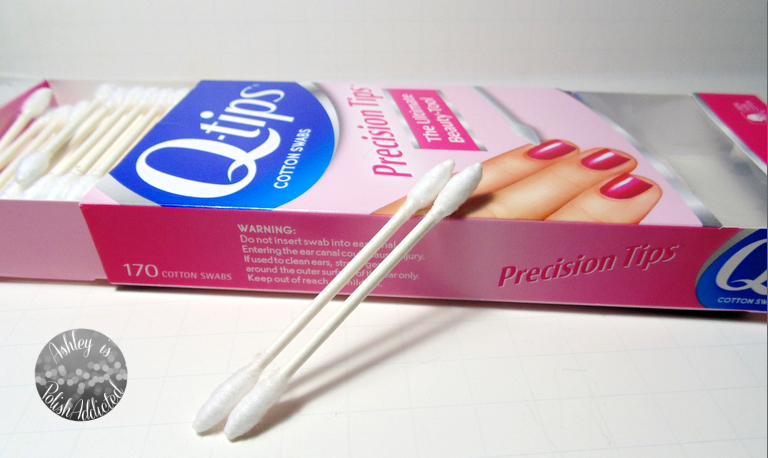 Do you use Q-tips as part of your beauty routine? If not, I suggest you try out the Precision Tips. I will definitely continue using them! Make sure to check out Q-tips on Instagram for even more holiday glam looks! Disclaimer: This post was sponsored by Q-tips. All opinions are my own. Happy (almost) Thanksgiving to my fellow Americans! I have a quick post for you tonight. 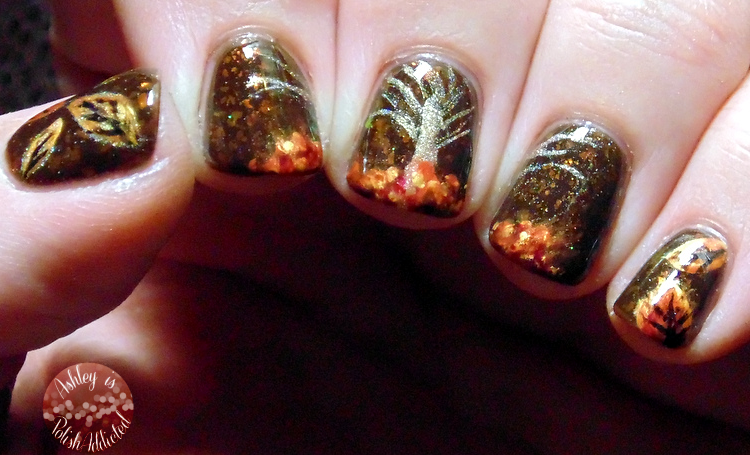 I did this Autumn nail art about a week ago and wore it for a few days, I really loved it! I still haven't done my Thanksgiving mani, and I'm not sure what it will end up looking like, so I figured I would at least share this with you. Happy Friday!! Thanksgiving is less than a week away! How does time go by so quickly? I think giving thanks is something that everyone needs to do every day. No matter what life throws at you there is always something to be thankful for. To celebrate the holiday, several of us bloggers and indie makers decided to have a giveaway to show one thing we are thankful for - YOU! Good evening! I have a gorgeous Girly Bits to show you to brighten up the middle of the week. 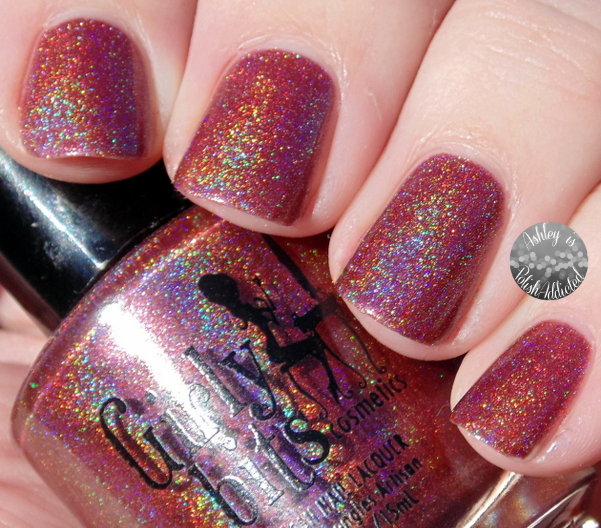 And nothing brightens up the week more than a linear holo! Good evening! I have a beautiful polish tonight that is just perfect for Fall and Winter! A glowing, vampy red! 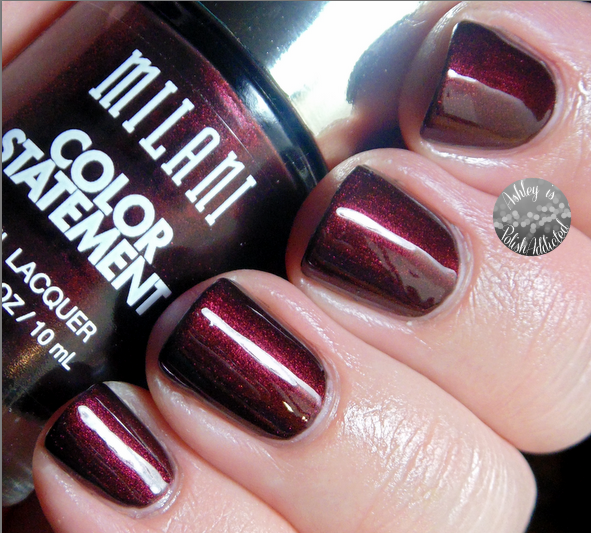 Milani Enchanted Garnet which is from the Limited Edition Bedazzled Collection. Hello lovelies! Happy Veteran's Day and thank you to those of you who has served our country. 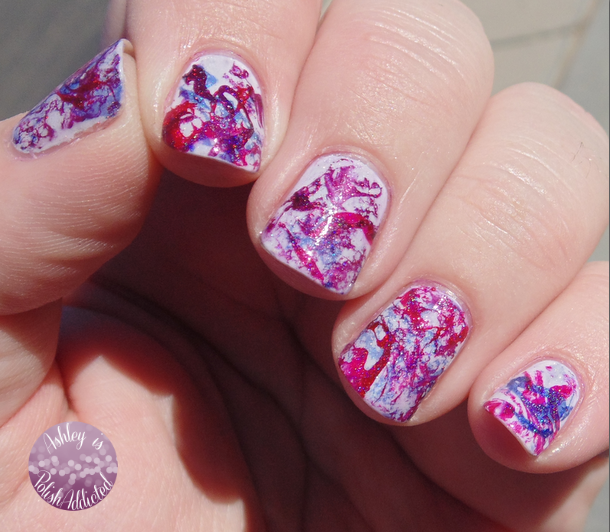 Today is my birthday so to celebrate I did one of my favorite kinds of nail art - spray marble! Happy Friday! Today's mani is a special one for me. Six years ago today my aunt, who was like a second mom to me, passed away. She loved and collected thimbles so I thought I would do some thimble nail art in honor of her today. Good evening! I hope you are all having a good week so far! 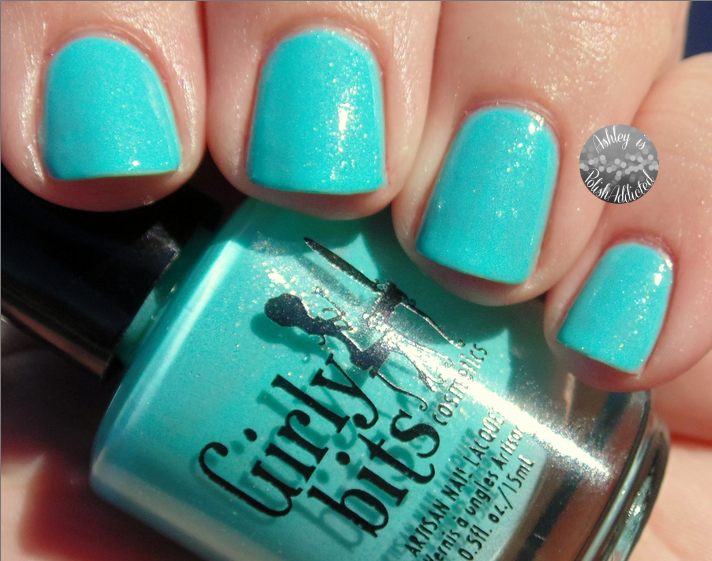 I have some Girly Bits fun for you tonight! 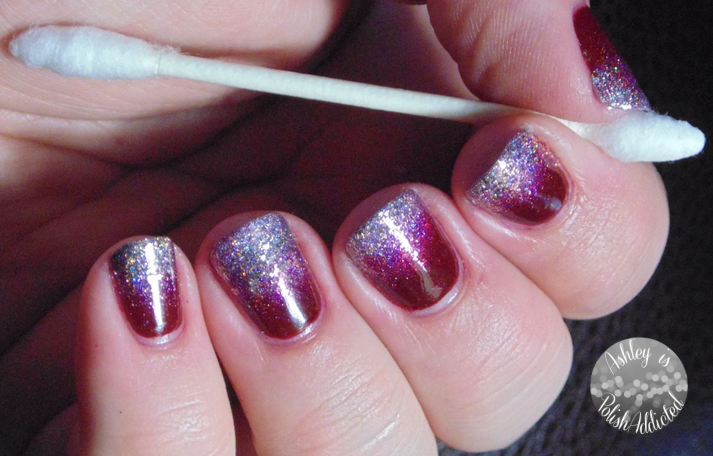 A gorgeous polish and a review of their cuticle oil, Frazzle Fixer! Alter Ego Giveaway from Gloss48! Happy November! 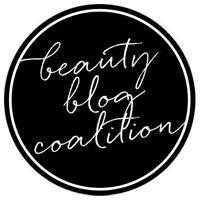 How about we kick off the month with a fun giveaway?! 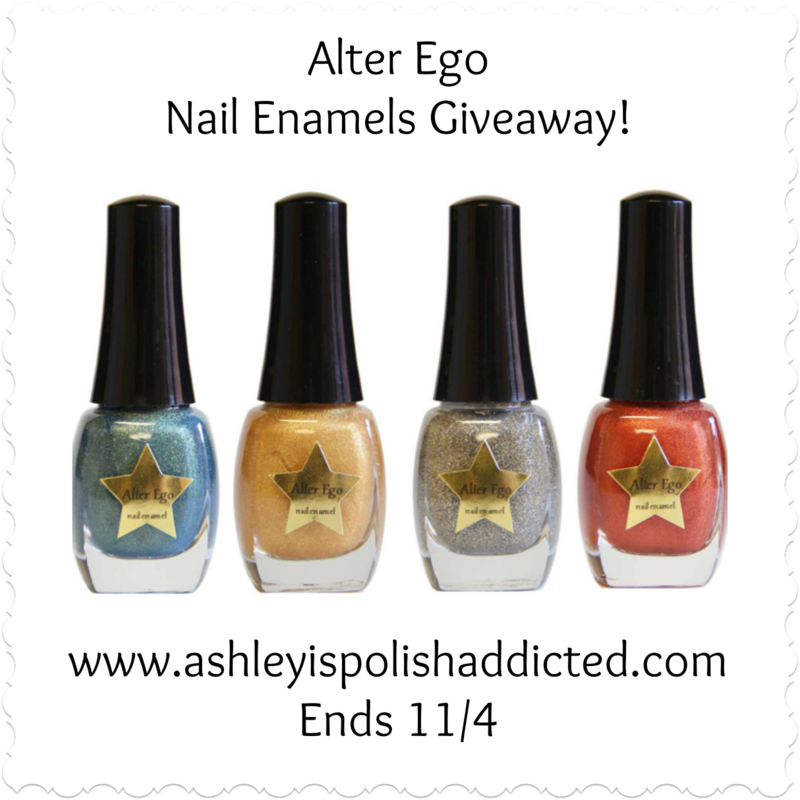 Gloss48 is sponsoring a giveaway for 4 Alter Ego Nail Enamels! US addresses only for this giveaway. Good luck! 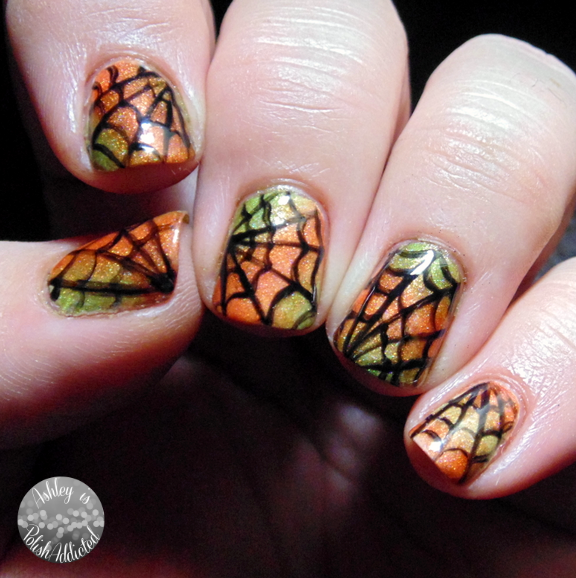 Happy Halloween with Funky Spiderwebs! Happy Halloween for those of you who are still celebrating! There are still a few hours left here until the spookiness of the season disappears for another year. 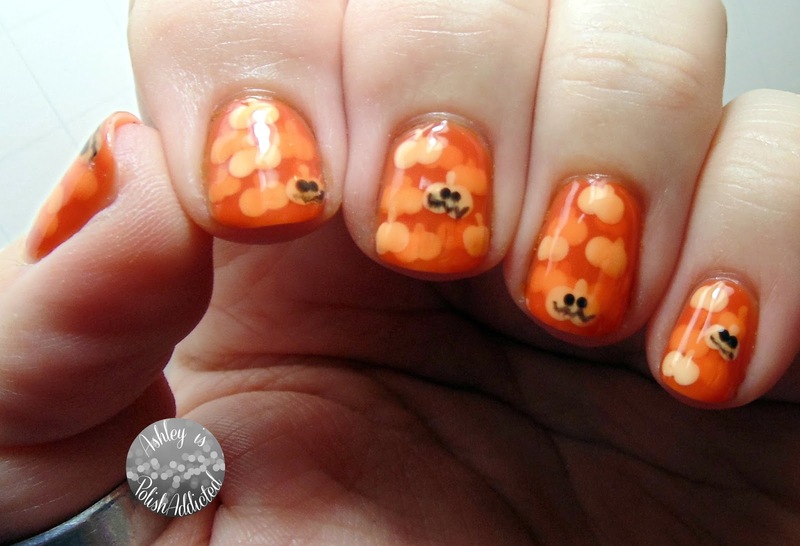 Tonight I am going to show you my Halloween manicure, as well as the one I did on my mom. 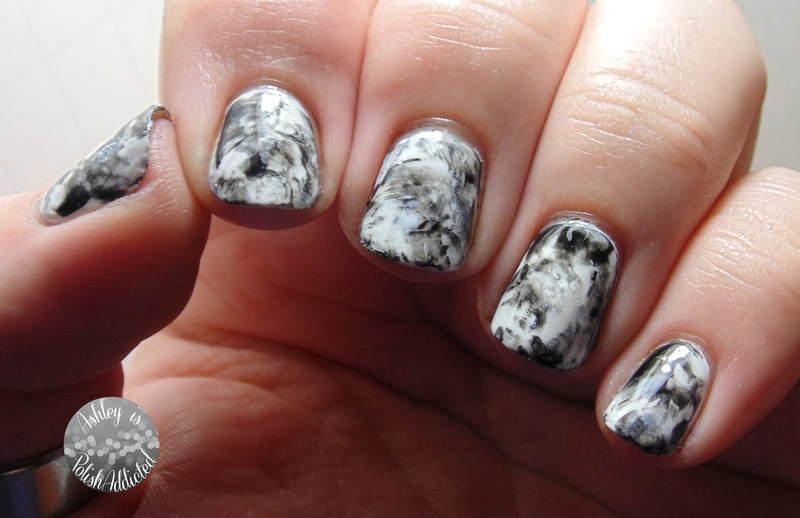 This is the manicure I wore today, and am still wearing. I may wear it tomorrow too, I love it! Happy Halloween! 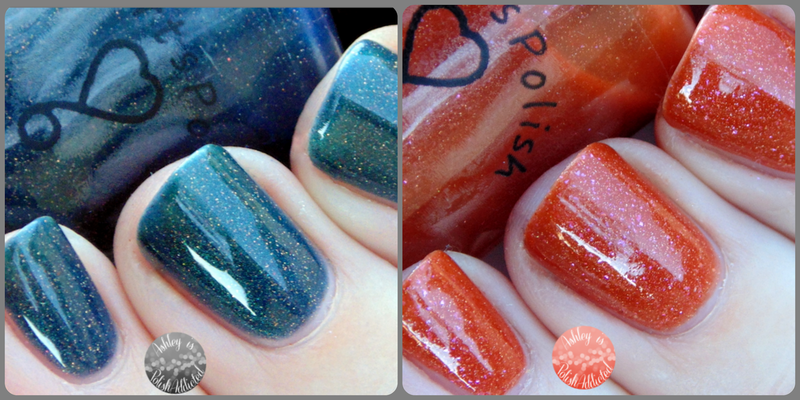 This is going to be a quick post showing you 3 of the Pahlish Happy Holo-ween Collection polishes. The last re-stock for these is tonight at 7 PM CST! It's finally Wednesday! This week is dragging on! 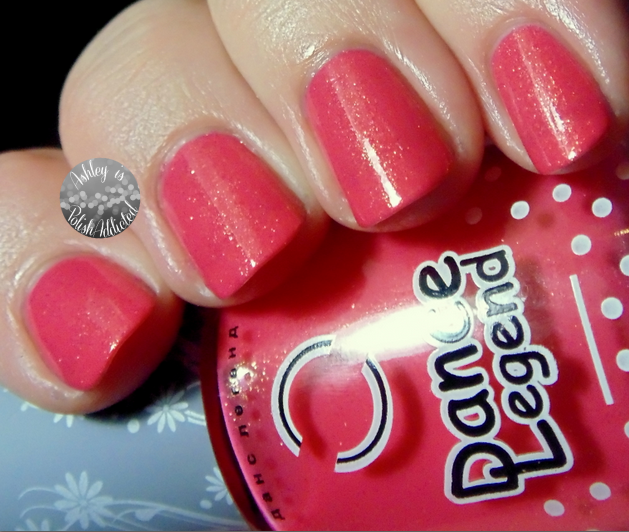 But today I have another Alter Ego Nail Enamel that is being featured on Gloss48! Is this week over yet? It's only Tuesday yet it feels like it should be Friday already! Tonight I have a quick post on a mani I had only a few minutes to do last week before my nephew's Halloween orchestra concert. Good evening! It's hard to believe we are just a few days away from Halloween! 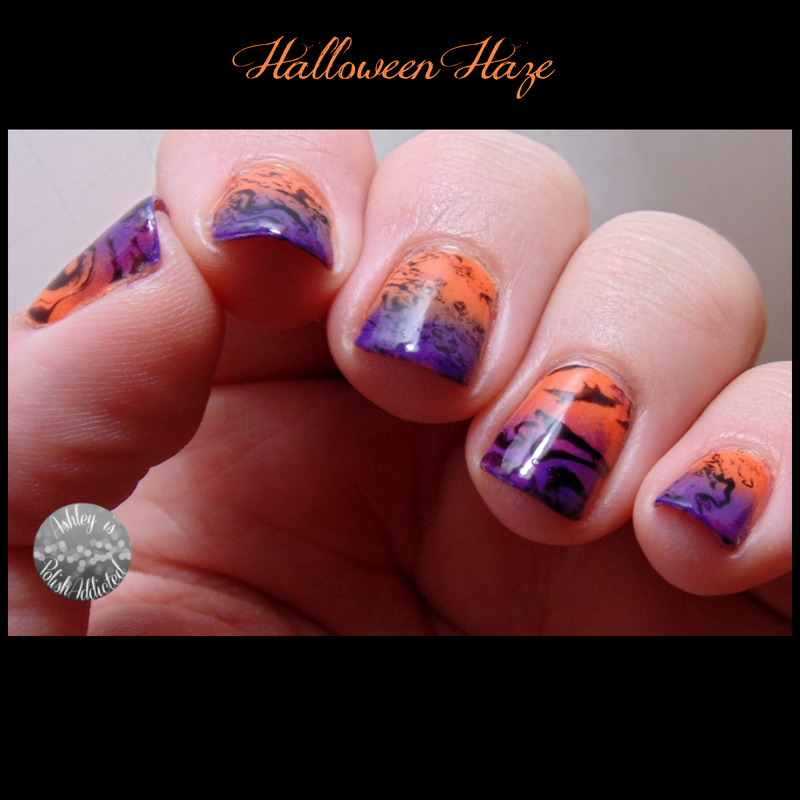 I am going to try to have a new Halloween look every day this week because I love Halloween nail art and in a few days it will be over! I am using this mani to enter the Jin Soon contest on Instagram, but it also happens to fit in with this month's Lacquer Legion theme #LLAfterDark. Happy Thursday! 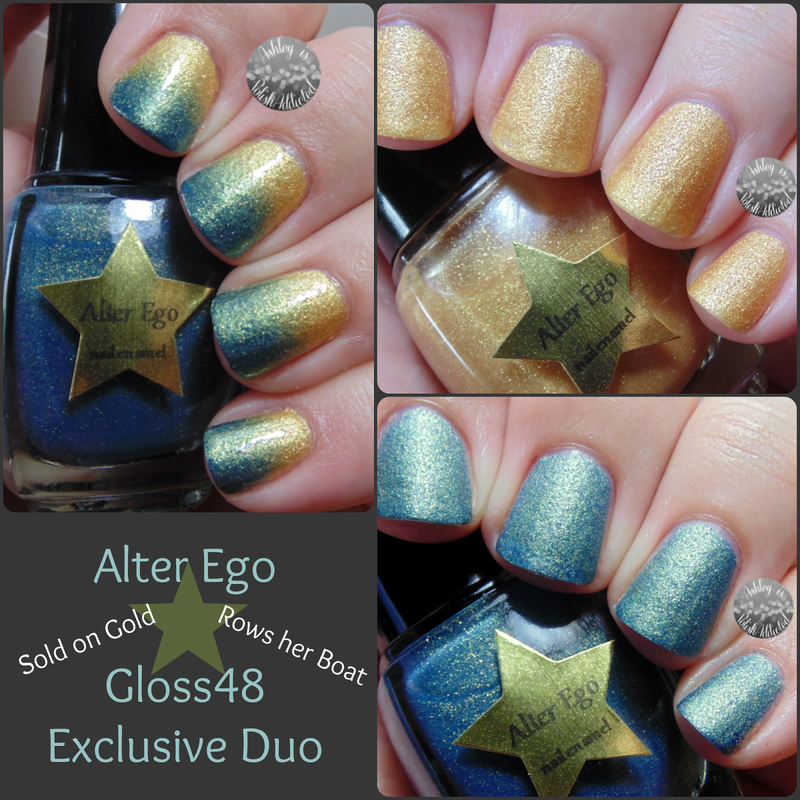 I have a beautiful new dup from Alter Ego to show you today that will be exclusive to Gloss48. This duo will launch on Gloss48 on Wednesday, October 29th. Good evening! 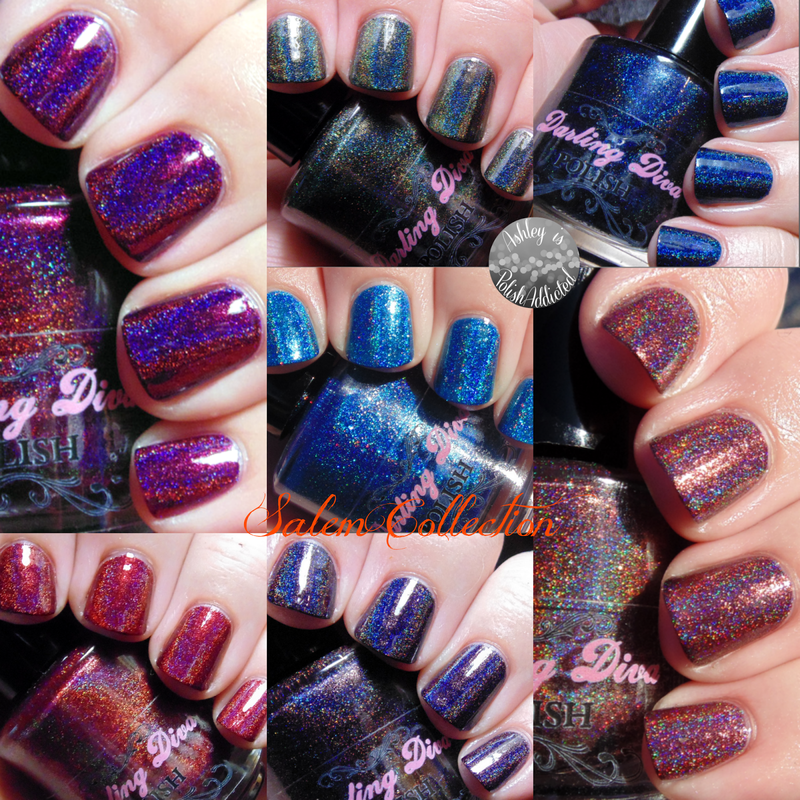 Darling Diva Polish has been releasing some amazing polishes of late and their newest collection, The Salem Collection, is no exception! 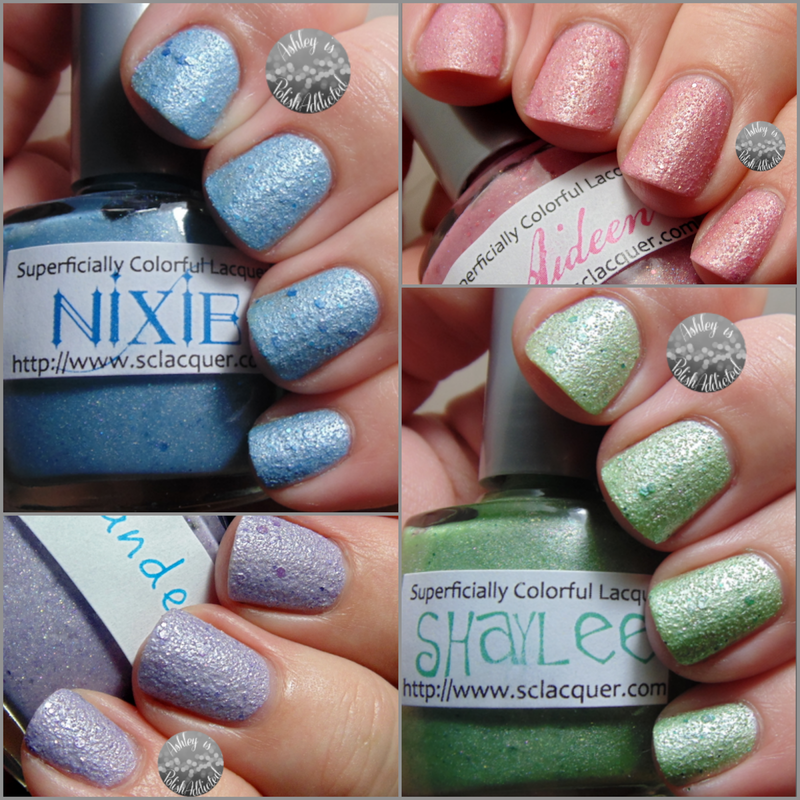 This collection consists of 7 eye-catching holos that are sure to bewitch you! Good morning! 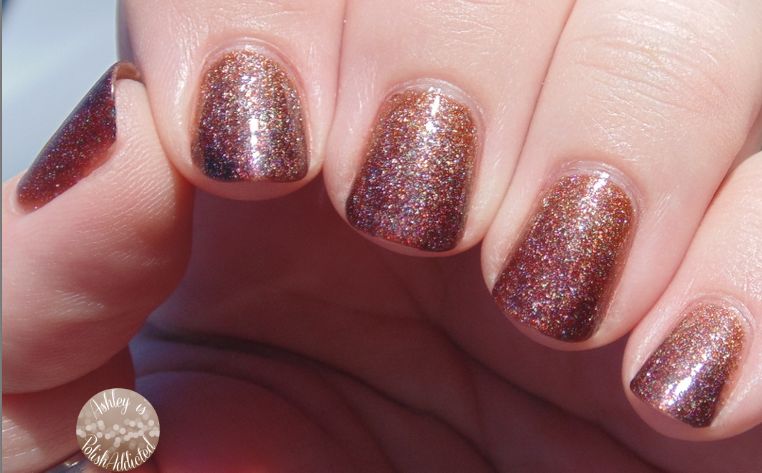 I thought it would be nice to kick off the week with a subtle but pretty gradient perfect for Fall. Happy Hump Day! 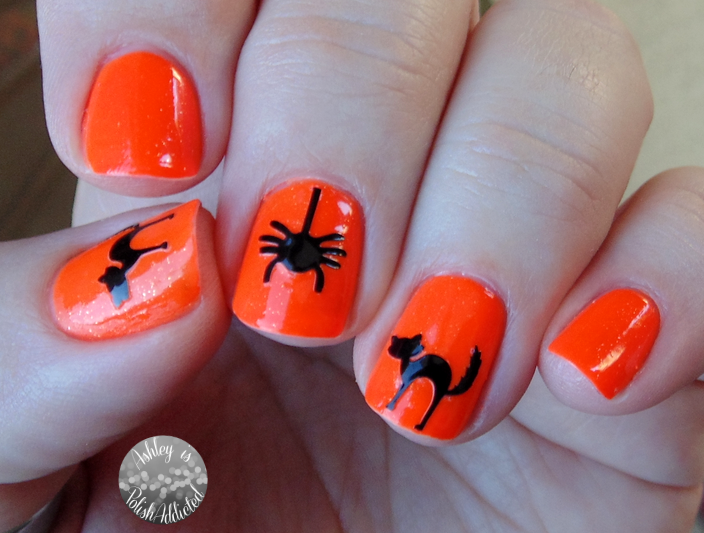 Today I have a Halloween mani that I really love and have enjoyed wearing! It was also very easy to create! Happy Friday! I mentioned in my last post that I had some exciting things to share this weekend. 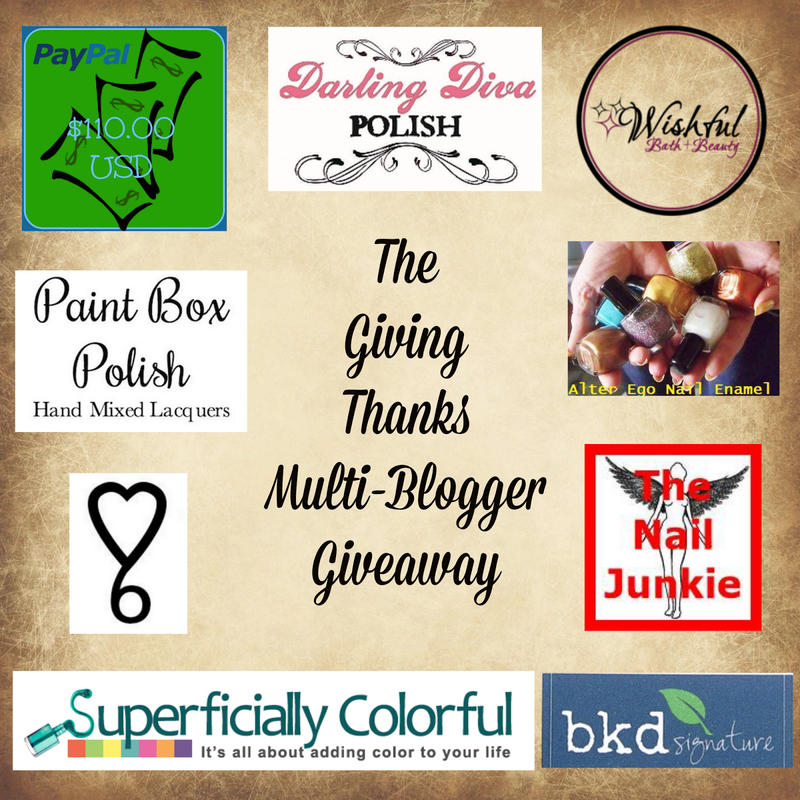 Tomorrow (10/11) is my 3 year blog anniversary (blogiversary) and two of my favorite indie makers, Carrie from Darling Diva Polish and Lulu from Elevation Polish, have created customs for a giveaway that will be starting tomorrow! (There will also be some other fun prizes as well!) 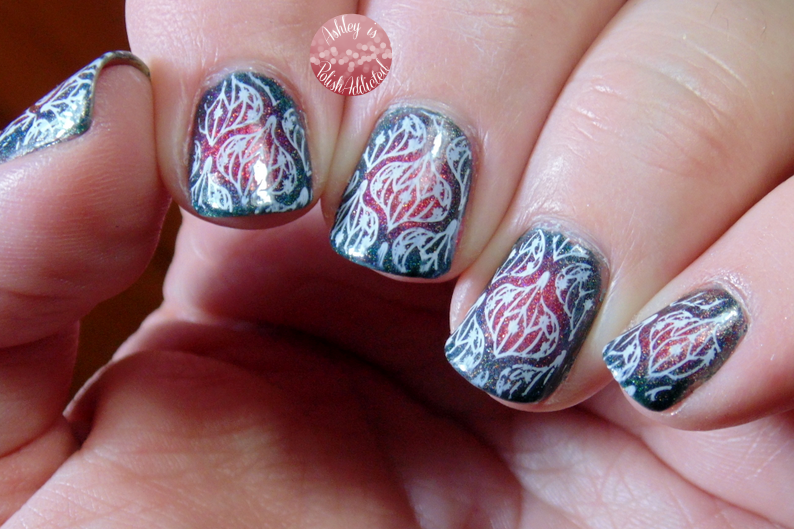 In this post I am going to show you the gorgeous creation from Carrie. The weekend is almost upon us and I have some super exciting things to share with you guys over the next couple of days! But first I want to show you a super pretty Dance Legend that I was recently gifted by a dear friend. It's finally Friday! 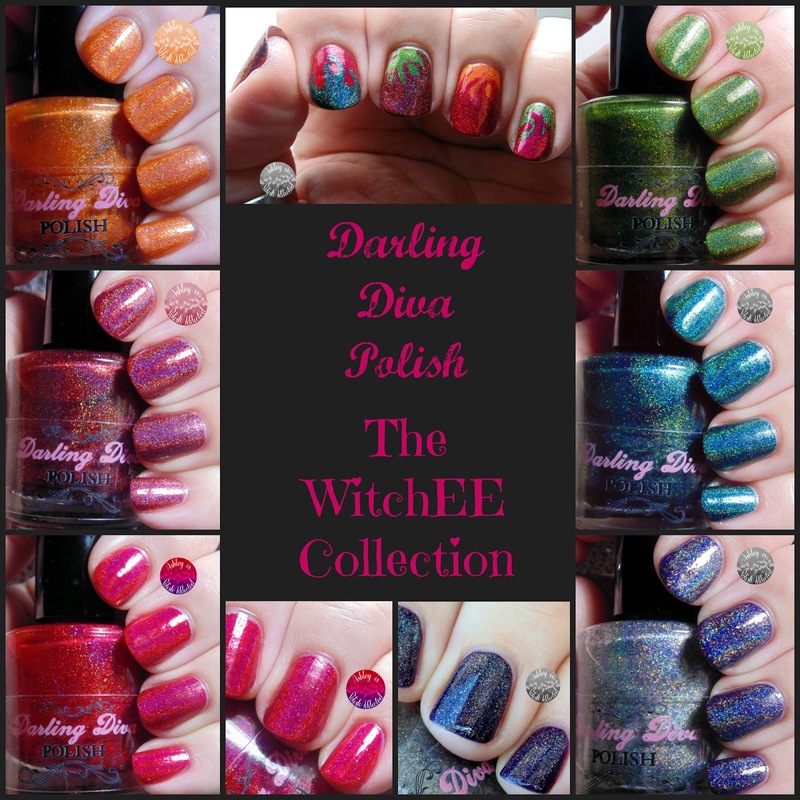 I can't think of a better way to celebrate the start of the weekend than with this gorgeous collection from Darling Diva - The WitchEE Collection. This collection is inspired by the Witches of East End TV show and I think the witches of East End would love these hot polishes. I created some holographic flames using this collection during the 31 Day Challenge. If you missed that post, you can see it here. Good evening! 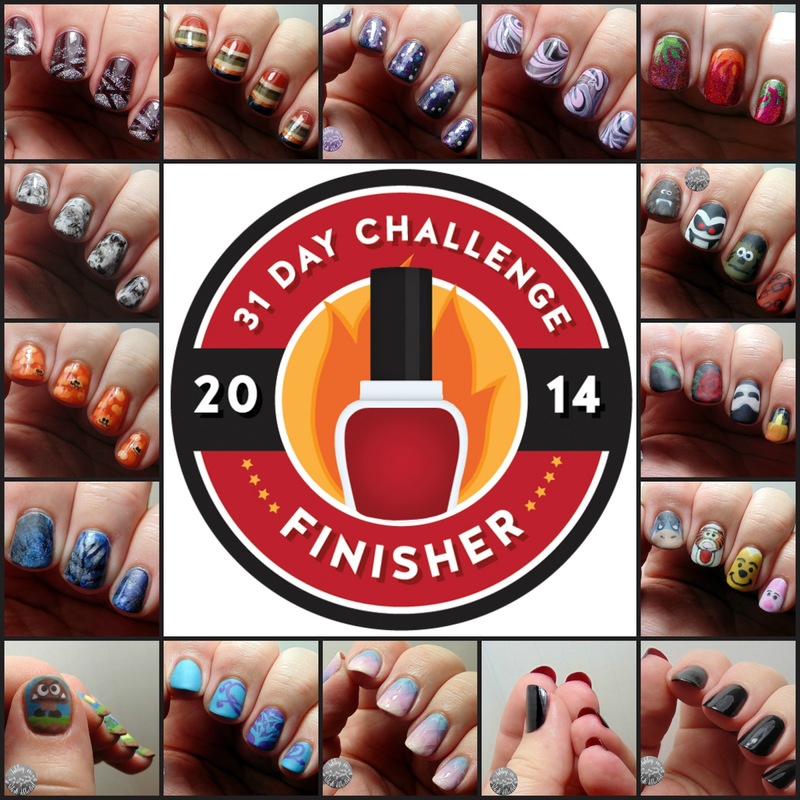 I just have a quick roundup for you tonight featuring all of the manis I created during the 31 Day Challenge. I've been busily working on a collection review post tonight that I will have to show you in the morning but I wanted to get this posted as I said I would. 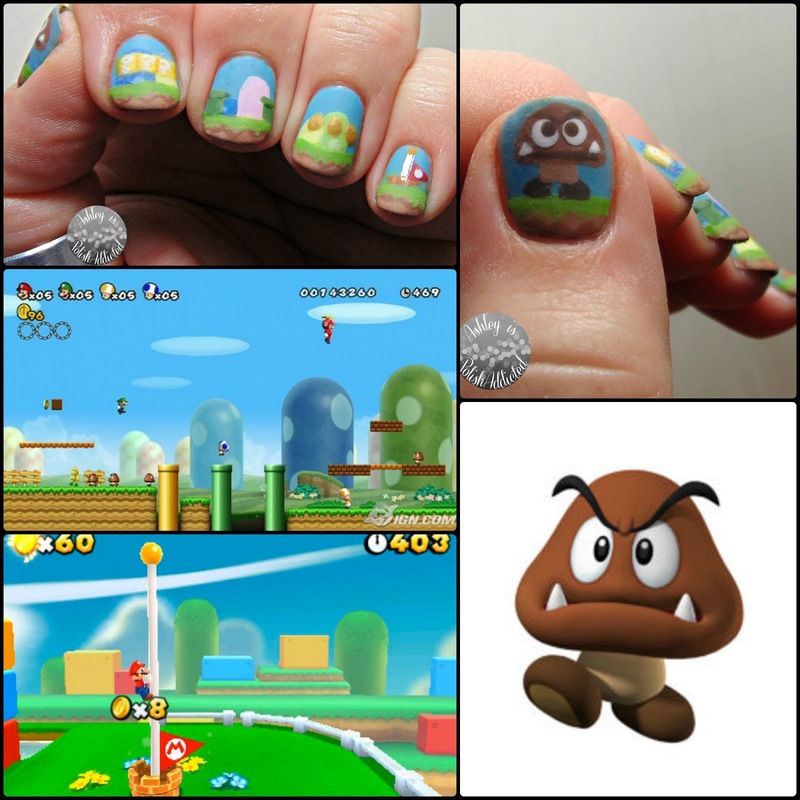 I really enjoyed all the nail art I did this month. I learned some new techniques and practiced a lot more than I ever have. I have a long way to go but I look forward to doing more nail art and trying to get better and better. 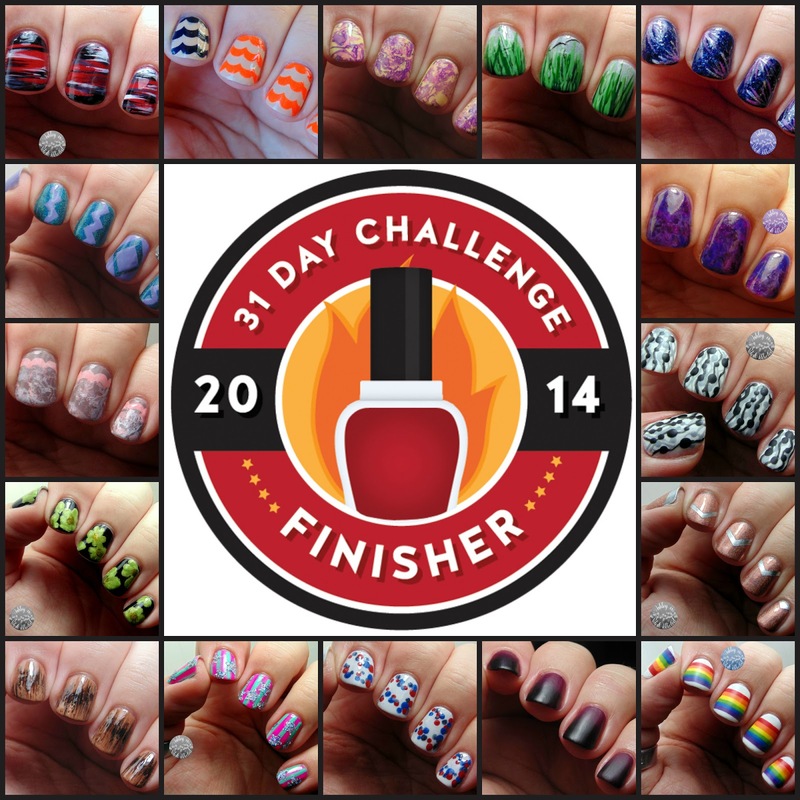 Thanks to Sarah from Chalkboard Nails for the 31 Day Challenge badges that I used in the images above. Well here it is, the last day of the 31 Day Challenge! I am both sad and relieved, but also extremely proud! This challenge is not easy and I have gone with 2-3 hours of sleep several nights during it, but I stuck with it and I think my nail art skills grew as well! The prompt for the last day of the challenge is "honor nails you love." 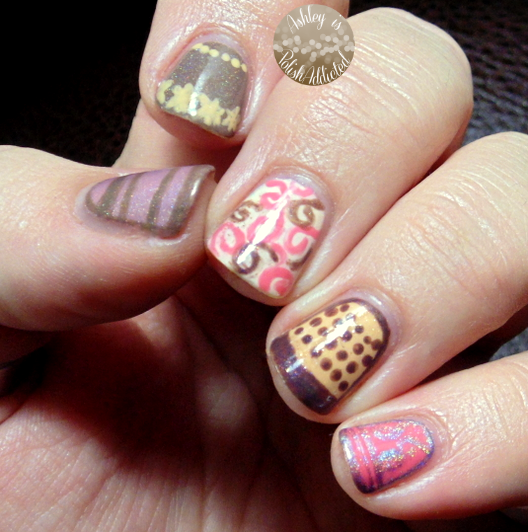 I decided to re-create a design from one of my nail crushes, my friend Nicole over at Nail Polish Wars. She created an awesome design a couple weeks ago inspired by a Rorschach Test and I fell in love so I knew I wanted to try to re-create those today. We are in the home stretch of the 31 Day Challenge! Tomorrow is the last day - it's happy and sad all at the same time! But, we can talk about that more tomorrow. Today's prompt is "follow a tutorial." I decided since it was getting close to Halloween I would do my first Halloween mani for the year from a tutorial that I've wanted to try since last Halloween! 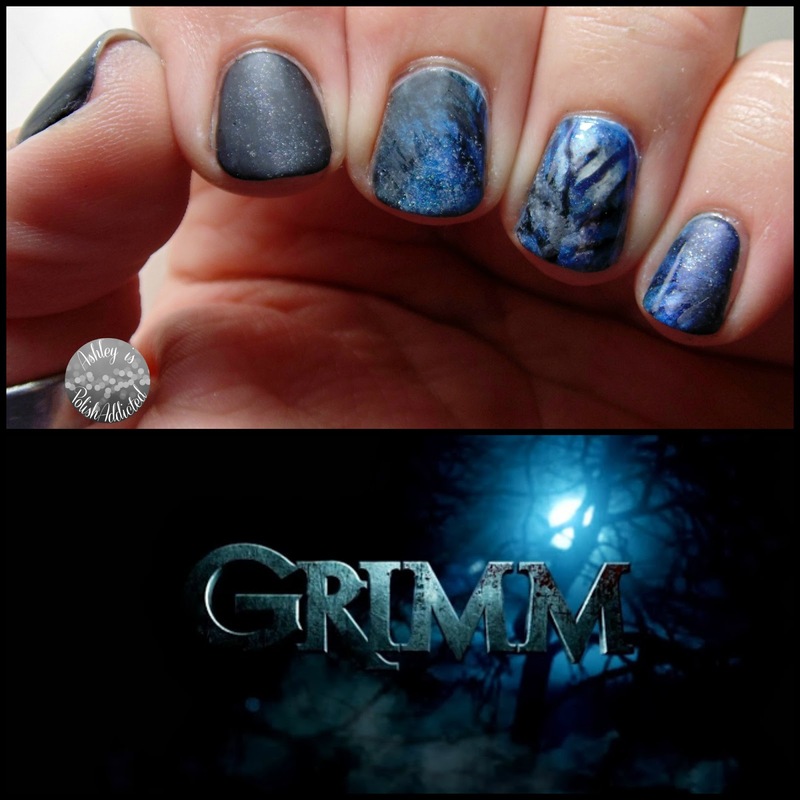 It's "supernatural" day in the 31 Day Challenge and I have some nail art inspired by one of my favorite shows - Grimm! Good evening! Today's prompt in the 31 Day Challenge is "inspired by a flag." Today is my youngest nephew's 4th birthday and he wanted a Super Mario Bros theme. I always make my nephews special cakes on their birthdays, so while I was creating this one I was inspired by the Mario flag at the end of each level! Labels: 31 Day Challenge 2014 , Super Mario Bros. I wasn't able to be at the wedding but I was there in spirit. I ran across this lovely painting on Etsy and thought it would be great to try to recreate it, especially since their wedding was outside under some beautiful trees. I decided to change the color scheme to coordinate with the colors of the wedding. It didn't turn out exactly as I had pictured but I still like it. I think I could have done a better job with more room to work with, but I can't change that! Haha I used Zoya Mira and Rocky along with butter LONDON Matte Top Coat. Happy Friday! Today's theme or the 31 Day Challenge is "inspired by a pattern." I didn't really have anything in mind so I took to Pinterest and started browsing. I ran across this pattern and thought it was very pretty and different than anything else I've done in the challenge. After I created the gardient I added top coat. Once it was completely dry I used KBShimmer Nail Vinyls and butter LONDON matte top coat to create the diamonds. I love the way this turned out! When I told my mom I was using pastels to create my nail art look today her reply was, "that's so not you." Hahaha! She's right. 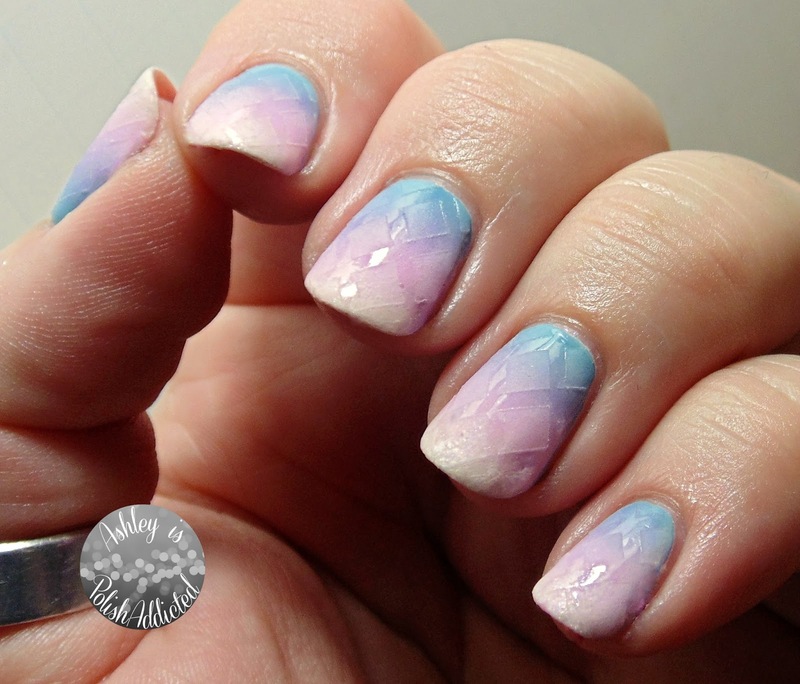 Pastels aren't usually my thing but I do love this mani. Good evening! I knew exactly what I wanted to do for today's "inspired by fashion" prompt. 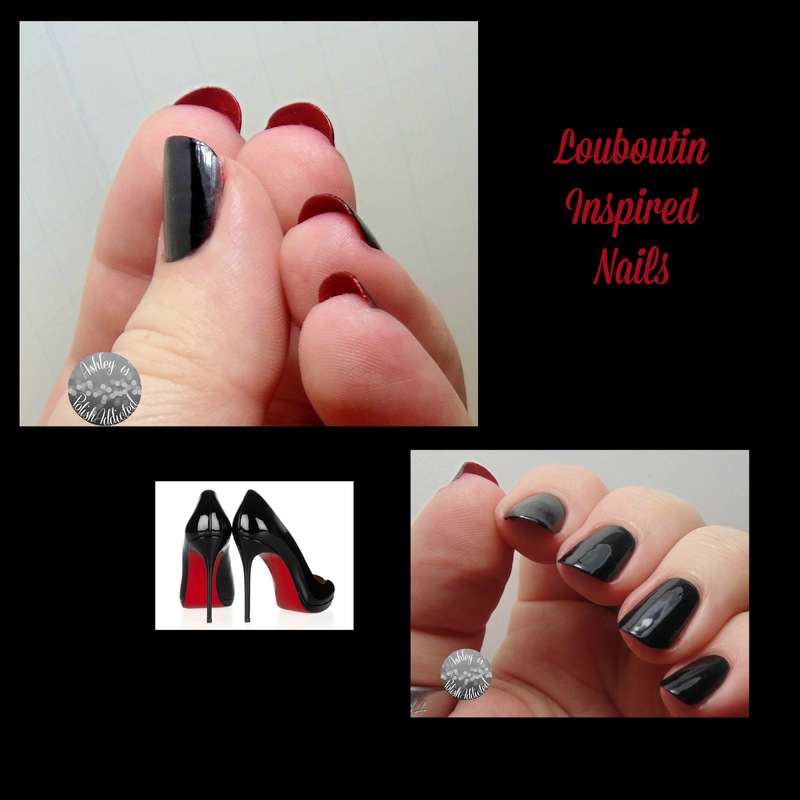 I remember when Adele did the Louboutin nails a few years ago and the design took off. My nails have always been to short to attempt it but they were long enough today! Hello! Today's prompt in the 31 Day Challenge is "inspired by a book." I love reading and I had several books in mind but I was struggling with how to translate them on my nails. I decided I was probably over-thinking it and realized it would be so much easier if I did a children's book. I love Winnie the Pooh so it seemed like a perfect choice! 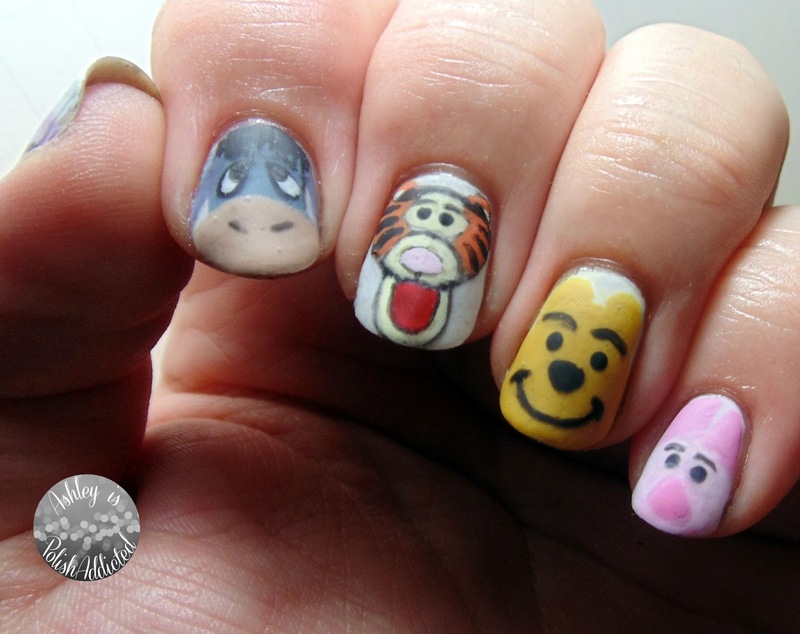 So from index to pinkie we have Eeyore, Tigger, Pooh and Piglet. Unfortunately you can't see Piglet very well due to a glare. I attempted one of the newer characters, Lumpy (a "heffalump", or elephant), on my thumb. He turned out just looking like a generic elephant and it's late so I had to call it quits. Once again, if there is a specific color you would like to know please ask me in the comments.